Are root canals safe? Dr. George Meinig, author of Root Canal Cover-Up, was a founding member of the American Association of Endodontics. He quit the association later in his career after he saw firsthand the adversereactions that root canals have on the immune system. Dr. Meinig also witnessed the irreparable damage to the jaw bone caused by the infected cavitation sites where root canaled teeth once sat. The standard root canal procedure effectively kills the tooth by removing all the dental pulp. The dental pulp contains the blood supply, nerves, and connective tissue. 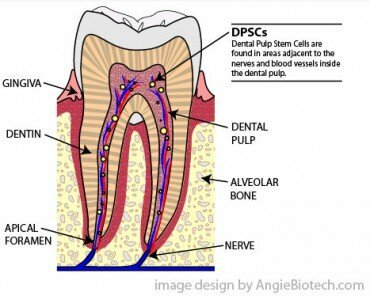 Once the pulp chamber in the center of the tooth is emptied of these vital tissues, it is incapable of carrying on necessary functions. The filling materials such as gutta-percha, which are used to fill the pulp chamber, are chosen for their properties to expand into the tiny spaces, cracks and crevices of the voided roots. Gutta-percha, a common dental product, is the rigid natural latex produced from the sap of the Palaquium gutta tree. This type of filling material has been the cause for many root canals that have gone bad. Truth be told, every root canal is problematic because once the tooth has been devitalized, it can no longer perform the critical functions of cleansing, repair, and growth. A root-canaled tooth is in fact a dead tooth. The introduction of toxic and/or allergenic filling materials sets up an environment that invites infection. Therefore, every root-canaled tooth ultimately becomes infected; albeit, most are low grade, subclinical infections. Because a root canal will always eliminate the tooth’s capacity to properly cleanse itself, it becomes a breeding ground for bacteria. Many root-canaled teeth develop infections right at the root. These infections are called focal infections which can ultimately cause disease and illness in different parts of the body far removed from the infected cavitation sites. It is the systemic nature of these focal infections that often causes them to evolve into various autoimmune disorders. Since many root canals sit in the mouth for decades, there exists ample opportunity for various target organs and organ systems to be undermined by these undetected and often subclinical focal infections. The thousands of dentin tubules which form the matrix of the dentin become permeated with bacteria which cannot be adequately addressed by the incapacitated tooth. As the toxins accumulate over time, the dead tooth can no longer properly detoxify itself. This often leads to an abscessed tooth of which the only healthy remedy is extraction. Even after extraction, the tooth site can continue to harbor a focal infection if not properly excavated and treated. Some oral surgeons and dentists, for instance, fail to remove the periodontal ligament and/or adjacent bone which frequently become infected after the root canal procedure. The relentless assault to the body’s immune system in its attempt to address focal infections of this type so weakens the natural immune response that auto-immune dysregulation can occur. The longer this predicament is allowed to fester, the greater the likelihood it will develop into a full-blown auto-immune disease. The Journal of the American Medical Association (JAMA) published a very telling research paper which speaks directly to the systemic nature of these infections. Written in 1940, the following abstract explains this exceedingly important concept, the understanding of which will deter one from ever having a root canal, a tooth implant, or a dental bridge among other highly destructive dental procedures and materials. “The concept of focal infection in relation to systemic disease is firmly established. The origin of many toxic or metastatic diseases may be traced to primary local or focal areas of infection. As examples, gonorrhea and gonococcic arthritis, furuncles and septicemia, tetanus and other self-limiting diseases may be cited. It is not surprising, therefore, that a similar relationship is thought to exist between various general systemic diseases of unknown origin and infections of the teeth, tonsils, nasal sinuses, appendix, gallbladder and cervix and infections elsewhere. […] The enthusiasm thus aroused was further enhanced by the experimental work of Rosenow and others until focal infection with regard to infected teeth and tonsils seemed to be the cause of a great variety of diseases.” Source: JAMA. Anyone suffering from an auto-immune disorder (e.g. Lupus erythematosus), a multi-infection syndrome (e.g. Lyme disease) or alphabet soup diseases such as CFS, ALS, and MS ought to look in their mouth for some answers. The teeth, and the many dental materials that are used to repair them, are frequently found to be the ‘root’ cause of many health problems and medical conditions. sinus cavity. After this dentist removed the pieces, cleaned the area out, and even yanked the tooth stuck in between my jaw & sinus cavity, my Lupus slowly went away. 3 months later it completely gone and has never returned. This is over 7 years ago. I can tell you from all the medical visits i have made over the years that I’ve seen many people acquire MS from root canals, implants, metal plates, screws, and hip & knee replacements. It turns out titanium poisoning mimics MS and ALS symptoms. The poor continue to have no options. You can’t find a single dentist who takes state dental coverage – who will do anything other than the defunct “standard.” And then, you have to fight them on every alternative issue just to get them to not put fluoride or mercury in your mouth! FYY. The dental industry hasn’t changed in the last 100 years, better off just using gold 4 anything in yer mouth; or just pulled the damn thing out. The solution to prevent this would be extraction or false teeth. That’s what I’ve chosen to lessen the chance of this happening for which I have a higher than normal risk with having the HLAB27 gene. My sister got a terribly infected root canal which turned into osteomyelitis of the jaw. She has now suffered agonising pain with fibromyalgia for 15 years because of that tooth. Your sister needs to have her jaw debrided or she will never feel better. She also will need to do chelation therapy. I know from experience I am still suffering, but am considerably better than I was. Check out on facebook the following sites: mercury detox support group; and nico, jawbone infections. Take high doses of vitamin C everyday. C is antiviral and antibacterial and is anti inflammatory. I decided after researching it not to have mine pulled but instead use C. Research it for yourself. It’s unhealthy to take high doses of vitamin c. It will cause the body to demineralize itself of necessary minerals like selenium, which if you don’t have enough of causes cancer. I would recommend high doses of iodine instead. I’m sorry, but nothing except pulling the tooth will make a difference. My best friend died of prostrate cancer from his root-canalled teeth, because he thought the same way. Leading cause of breast cancer is abscessed & root canaled teeth, because they deplete the body of iodine.By the way if you suffer from repeated, reoccurring urinary tract infections be forewarned. If there is no blood supply to the tooth, vitamin c won’t get there. And, to the person below, high dosages of vitamin c won’t cause demineralization of body. Eat a healthy diet rich in minerals. Add up the average people spend repairing the teeth and consider implant dentures. May need repairs from time to time depending on what you do with them. But they won’t cripple you in pain or get infected when they need it. They priced my 5 root canals and crowns at like 7 thousand.. < They are falling apart even though I brush and even water floss after every meal. Dentists LIE about implant held dentures also. Because it would hurt their wallets..
My grandmother got dentures.. She has only had to get them repaired once in 7 yrs because she was dino biting mixed nuts to crack them lol. As often as she needed repairs before the dentures? She has saved many thousands and also removed the pain between repair times. This world is in a coma.. People are livestock. < Treated same exact way.. Set free and their environment controlled to guide them into doing what the system wants.. Don't think! The professionals can lie to make you feel better so they can get rich! If you identify a problem, please recommend viable alternative solutions.